Heat the water in a heavy skillet over medium-high heat until bubbling. 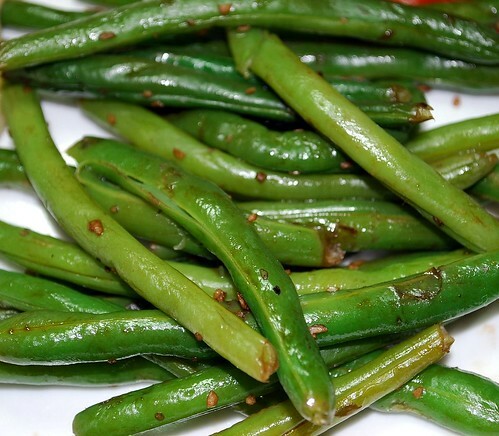 Add green beans and allow to cook, stirring occasionally, for about 5 minutes – water should be almost entirely evaporated. Add salt, pepper, and garlic. Using a bottle with a spray nozzle, mist the balsamic vinegar onto the beans, tossing to coat. If you don’t have a spray bottle, then simply drizzle it on the beans, tossing to completely coat. 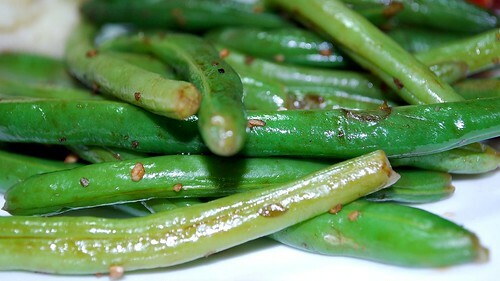 Allow the beans to cook, stirring occasionally, for another 2 minutes, until garlic is fragrant and balsamic vinegar begins to caramelize on the beans. Serve immediately.